2123. John L. Cowan III. Tri‐Helix Solar Powered Algae Bioreactor. To produce algal efficiently it is necessary to limit energy input. 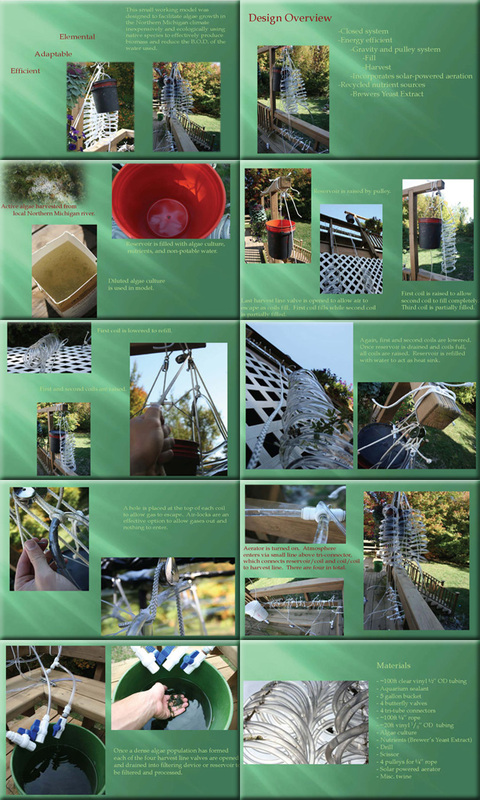 Gravity and a pulley system fill the bioreactor and harvest. A solar powered aerator provides aeration for mixing. The pulley system allows out of solution gases to escape vertically due to a change in angle of tubing. For more information about this entry, contact the author. email: cowanjo2@msu.edu.